There has been no change in that position, or in the relative benefits of the peripheral canal when compared to other options for the export of water since that time. If the state and federal governments continue to export water from the Delta, the fishery agencies’ obligation is to ensure that those exports will do the least damage, and may provide an opportunity to conserve and enhance natural communities, including the fish, wildlife and habitat that are a part of those communities. NOVATO, Calif., Nov. 19, 2010 /PRNewswire/ — Yesterday, the Bay Delta Conservation Plan (BDCP) Steering Committee received a document describing results of four years of work to develop a comprehensive habitat conservation plan to protect and recover endangered species and provide for a reliable water supply from the Sacramento-San Joaquin Delta. The Bay Institute, which as a member of the Steering Committee advocated for transparent development of a plan based on science, expressed disappointment with the progress to date and the content of the document. Twenty-eight years ago, Northern California voters killed a bond issue that would have paid for a canal to carry water from the big rivers in the north to fast-growing Southern California. The Peripheral Canal, as it was called, is still being debated, and now officials are talking instead about building tunnels to carry the water more than 40 miles underground at a cost that could top $14 billion. 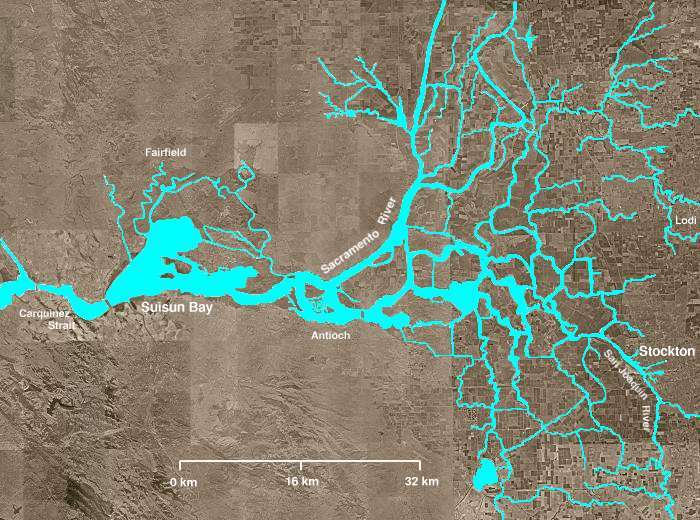 The tunnels would carry supplies under the Sacramento-San Joaquin Delta to the pumps that feed the California Aqueduct. The Delta may be hundreds of miles from Inland water taps, but its aging levees, declining fish populations and water pumping limitations have Southern California water purveyors again looking for a big fix.